Nowadays inter-company collaborations for innovations have proven to be an influential method to provide the competitiveness around the world. This is particularly apparent in the case of large Transnational Companies (TNCs), who have invested capitals in setting up and enforcing many different kinds of strategic partnerships. A new phenomenon in this strategic process of decision-making employs the subsidiaries, mainly in developing cooperation on the international scale. The strategy allows the economic globalization, sought by many TNCs, resulted from having access and sharing the most reliable proficiencies with the targeted markets. This cooperation can arise, both intra-company, by contributing capital to enhance the available competences within the total TNC network, as well as inter-company, by involving horizontal counterparts (competitors and distributors) and vertical ones (participants of the industry’s supply chain). The present paper was impacted by the literature affirming that, in the case of the TNCs generating, gaining and diffusing knowledge may derive from the external as well as from the internal environment (Minbaeva, Pedersen, Bjorkman, Fey, and Park, 2003). The vital role of the subsidiaries in the whole process of international cooperation can influence the effective collaboration itself. 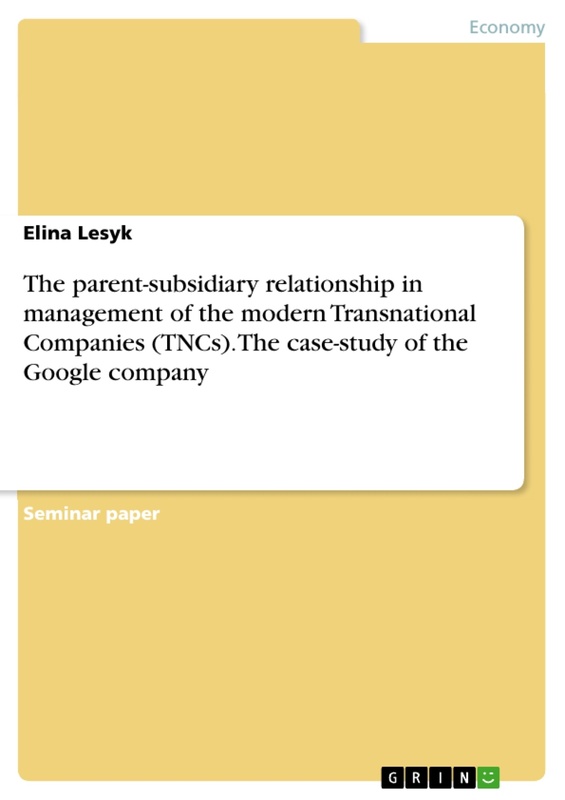 The goal of this essay is to study the crucial factors that affect managing of the subsidiaries and their role in the success of the TNCs, in their international cooperation. 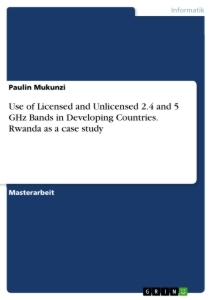 Most of the research on the specified issues was made at the level of the headquarters firm (Cantwell and Mudambi, 2005). A comprehensive approach has been adopted in the work, focusing on the parent-subsidiary perspectives, in order to understand more precisely whether these two sides reciprocally affect each other, in the entire process of creating, establishing and managing international cooperation. The current essay has the structure as follows: the next section presents the proposed research of the question and its theoretical fundamentals. 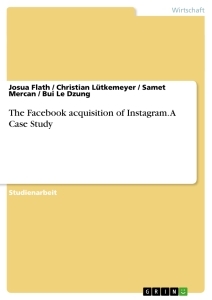 Next, the reasons of the latest Alphabet’s subsidiary acquisitions, the related findings and lessons are discussed. The contributions to the theories, conclusions, and appropriate recommendations for future research are presented in the last section. The majority of scientists agree that the more efficient in endlessly globalizing markets the TNC is, the more competitive it becomes in the world market. Only those businesses that manage to arrange their international activities within global networks have opportunities to attain durable competitiveness worldwide. In order to achieve world competitive advantage, revenues have to be managed concurrently, efficiency and innovation both are significant, and innovations can be implemented in many different parts of the organization (Bartlett and Ghoshal, 2002). The transnational companies (TNCs) have been investigated from various theoretical perspectives among which may be studied as hierarchies, internal markets, or inter-organizational networks (Birkinshaw and Fey, 2000; Hedlund, 1986). This essay employs the network perspective, that became the chief method of research of the TNCs during the latest years (O'Donnell, 2000) and was also applied to the R&D activities of TNCs (Gassmann and Zedtwitz, 1999). The concept of the TNCs is viewed as an 'inter-organizational network' of loosely coupled entities, rather than a hierarchical monolith. This structure provides the subsidiaries with freedom of development of its own exclusive resource profile by connecting the internal network of TNC units and the external network of main suppliers, customers and other key local companies (Baglieri, Bruno, Vasconcellos and Grando, 2010). Nevertheless, the primary statement in the literature on the headquarter-subsidiary relationship is the hierarchical nature of the TNC where the headquarter firm delegates decision-making to subsidiaries, so that decision rights are 'loaned, not owned' (Foss and Klein, 2002). Subsidiaries are managed by the parent firm which holds the power of veto, i.e., the right to annul any subsidiary decision. This indicates that the process of subsidiary development is designed by headquarters and new mandates for subsidiaries are decided by the parent firm and subsequently given to the subsidiary. The fundamental idea is that as the time is flowing, the subsidiary is gathering valuable expertise through its relationships in the network of TNC components, so they become dependent on the competencies of the basic subsidiary, which results in an extension of their activities, as well as the improvement of the subsidiary status. When the subsidiary has specialized competencies on which the other TNC depend, this gives the subsidiary to take more power in controlling of its own destiny (Pfeffer and Salancik, 2003). In modern times, it is admitted that the subsidiaries are not a mechanical tool of parent firm’s desire, they follow their own interests. The stress is on the interdependence in the company rather than on the autonomy of its particular units. The subsidiaries are pursuing their goals by participating in the internal network of the TNC, as well as in the external one, and by means of their bargaining power are usually attracting more internal TNC resources instead of seeking some independence and separating themselves from other TNC firms. One critic statement, directed against the literature on the development of subsidiaries lies in that most of the research have only approached the question from the perspective of an internal network. The subsidiary evolution is regarded as the outcome of corporate parent firm job or an independent from the subsidiary process. However, the exogenous environment has received less attention. Though the literature on aggregate activity in the economy admits that diverse roles develop, the strategic literature on management, only with few exceptions (Benito, 2003), is lacking research of the impact of external factors on the development of the subsidiaries. Recent developments start to convince that exclusive reliance on the loosely coupled model is less appropriate for analyzing contemporary TNCs. Carrying out R&D projects is constantly growing in the importance and the activity is being made with interdependent teams from the whole planet, at R&D centers situated in different countries (Gassmann and Zedtwitz, 2003). The strategy of this trend is in using the advantage of the resources, human capital, and capabilities, spread around the globe, in order to give more productivity and innovativeness to the subsidiaries. A well-known case of this method is the R&D network of the Ericsson company which consists of interdependent units, firmly controlled by the parent firm, where almost all of the decisions are centralized (Birkinshaw, 2002; Birkinshaw and Fey, 2000). Another example is Minnesota Mining and Manufacturing Company (a.k.a 3M) which is one of the top TNCs in the world in the field of innovativeness, and it manages to integrate the adequate R&D decentralized units in its operations, combining it with effective coordination (Guedes, Vasconcellos, and Vasconcellos, 2010). The increasing role of the subsidiaries in the strategic process of decision-making can occur through growing interaction between the headquarters company and its subsidiaries. However, this interaction has been chiefly studied from the headquarters company’s point of view. Thus, given that a two-sided perspective may supplement the comprehension of the dynamics of the management process. Throughout the history, TNCs established the new subsidiaries abroad mainly to adapt the products created in their homeland to local customers’ needs, and to explore and employ the local availabilities of resources and conditions of manufacturing. In this case, subsidiaries were in the state of dependence from the competence of their headquarters companies, and, therefore, their role was basically home-base exploiting (Kuemmerle, 1999). Nevertheless, in recent years, due to the closer integration of subsidiaries in the TNCs’ international networks, some subsidiary actions have expanded their functions, e.g., to generate innovative technology, according to the comparative advantage of the country in which the subsidiary firm is situated. This transformation has directed subsidiaries to acquire new roles in the TNCs. Such subsidiaries have been defined in a few different terms: world product mandate (Etemad and Dulude, 1986), strategic leader (Bartlett and Ghoshal, 1989), global innovator or integrated player (Gupta and Govindarajan, 1991), and center of excellence (Holm and Pedersen, 2000). All of these definitions prove the fact that, over the past two decades or so, subsidiaries have come out of their shell of being just the submissive executors of the commands from the parent firm. The process 'through which TNC subsidiaries enhance their resources and capabilities, and in so doing add increasing levels of value to the TNC as a whole' has been called 'subsidiary development' (Birkinshaw and Hood, 1998). The cornerstone of the literature on the topic of subsidiary roles is the recognition that subsidiaries may attain different, and even opposite, roles in the TNC. The focus is largely on recognition of typologies showing the various roles of TNC subsidiaries. A strong accent is on the level of subsidiary independence and product mandate, while issues related to the integration and collaboration with other TNC parts are of minor importance. The product mandates are very rarely simply given by parent firms, most of the times they are earned. In this view, subsidiary autonomy is based on the involvement of resources which are characterized by certain uniqueness and the power in the processes of bargaining, and is, consequently, primarily distinguished from prudence, because revoking of headquarters decision is very difficult. To put it simply, subsidiaries firms possessing some bargaining authority and the certain level of independence have an amount of 'ownership' over the decision-making instead of leaving it to the will of headquarters. 3) rapid adaptation of enterprises in all host countries (Musabaeva, 2012).